I have been commissioned by Mid Pennine Arts to undertake a new commission in their Arts Talking Shop programme. 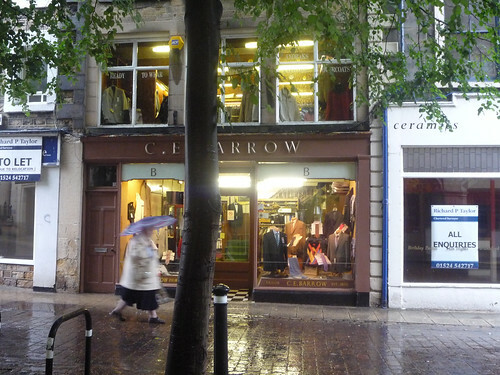 The commission is to explore the issues and history surrounding independent shopkeepers and retail in Lancaster and it draws on my interest in markets, shops, common spaces and the way communities define the identity of a place. The issues of local distinctiveness and the idea of ‘creative city’ have recurred in my work across commissions in both the regeneration and art sectors. Independent shopkeepers play an important role in shaping the notion of ‘creative city’ as a shared, flexible space; using the street and pavement a selling space, a meeting space, a space of exchange. The project will be exploring the inherent creativity of shopkeepers; how the presence of shops affects life on the street and the way informal things can happen around local shops and markets. Local shops sometimes foster a very human scale of vibrant life on streets that have not been sucked dry by a shopping centre and often its the less regulated more informal spaces like markets that draw their communities together.